The need to make financial inclusion have digital presence, calls for urgent dedicated investment towards mopping-up the excluded urban artisans with mobile phone access, writes REMMY NWEKE. At almost every two street corners in the Lagos Mainland, there is a hotspot for curd beans also known as Akara joints or hot Akara spot and at times some will extend these joints to accommodate quick meal zones offering pap (Akanmu in local parlance) and beans. At every of these Akara hotspots money is exchanged on daily basis, but the question remains what is the plan for digital and financial inclusion for artisans in urban areas as Nigeria continues to introduce one policy or another towards closing economic gaps. An artisan, defined by Cambridgelexicon, is a worker in a skilled trade, especially one that involves making things by hand, who often have their wares displayed on the streets including handwoven textiles, painted ceramics, and leather goods. Locally, such craftsperson or skilled worker includes mechanic, technician, welder, plumber, vulcaniser, akara hotspot operator, aboki shoe-maker and duwaduwa or obioma tailor, to name a few. From Ajegunle to Ilasamaja down to Oshodi, Iyana Ipaja, Orile to Okokomiako, Akara hotspots for instance, are seen mostly in early mornings and evenings with a cluster of people seeking to buy. 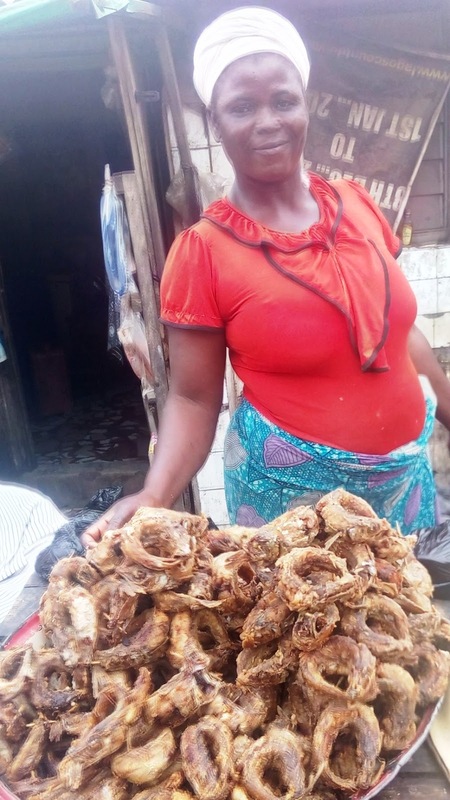 In fact, at Abayomi Junction at Mafoluku, a suburb of Lagos mainland in Lagos State, Mrs. Roseline Onoja, popular known as ‘Mama Oshe’ has structured hers into frying akara, plaintain, potatoes and fishes to go with as a delicacy in the last 14 years. And due to the time of operation which is from evening into the night and at times very early hours of the morning like 1am. She has not thought of banking as priority, although she managed to have a bank account, but immediate ploughing back her incomes of the day into the trade to ensure the availability of her raw material. The rest is usually spent on the family upkeeps, even, as she does not have or use any existing mobile financial services including Automated Teller Machine (ATM) or via her mobile phone. So, do we as a country have a digital and financial inclusion plan for her likes of artisans? As gathered by ITREALMS, even those she buys her raw materials from like the beans seller, grinder, transporter, plantain seller, pepper seller and her fish suppliers; still very much yearn and demand cash on transaction on daily basis. The unfortunate aspect is that all those involved in her chain of business are city dwellers who own a Global System for Mobile Communication (GSM) phone or two for calls basically, thus underutilizing their mobile phone at this time. As depicted by Digital Inclusion Survey developed by the Institute of Museum and Library Services, the University of Washington, and the International City/County Management Association, digital inclusion has three aspects comprising access, adoption and application. Access by way of availability and affordability, design for inclusion and public access; adoption by being relevance, digital literacy and consumer safety; and application by the economic and workforce development, education, healthcare, public safety and emergency services, civic engagement and social connections. The World Bank Group has described financial inclusion as meaning that individuals and businesses have access to useful and affordable financial products and services that meet their needs for transactions, payments, savings, credit and insurance delivered in a responsible and sustainable way. Although a good number of artisans may have 99 per cent access to digital inclusion via the Global System for Mobile Communications (GSM), the same cannot be said of the financial inclusion. According to the Nigerian Communications Commission (NCC), the telecom industry has a reach of 86 per cent of the country’s 162.3 million telecom subscribers and is the single largest customer-base of any industry in Nigeria. The Mobile Network Operators (MNOs) under the aegis of the Association of LicensedTelecommunication Operators of Nigeria (ALTON), expressed readiness to mobilize for digital financial inclusion, targeting some 90m subscribers within 30 months as far as there is a level playing ground. Nigeria, ITREALMS reports had in 2009 witnessed its first mobile money licensee and currently has over 22 mobile money operators as at the time of this report, despite what industry observers termed slow uptake in the bid to achieve Nigeria’s target of 20 per cent financial inclusion in less than two years, that is, by December 31, 2020; just as telcos currently are excluded from accessing mobile money licences, which lacks the enabling environment for all. Arising from a session at the Pan African University under its Lagos Business School (LBS) programme, ALTON maintained that it has the capacity to soar up the mobile financial inclusion to 90m if given the level playing ground. Speaking at the session facilitated by the Academic Director and Senior Fellow at Lagos Business School, Dr. Yinka David-West, noted that far beyond financial inclusion rates in Nigeria, they have to examine how people currently access financial services when evaluated against the criteria for true financial inclusion, that is, access to a full suite of quality financial services, provided at affordable prices, in a convenient manner. “When evaluated against this definition, it is clear that as a country, we have to work, not just to drastically increase the number of financially included persons, but also to increase the quality of inclusion and access we give, especially if we hope to positively impact the economy and the quality of the lives of Nigerians in any meaningful way,” she said. By the 6th month, we commit to bringing access to financial services to 15 million customers, serviced by 100,000 agents. By the 12th month, we commit to bringing access to financial services to 35 million Nigerians serviced by 250,000 agents. By the 24th month, we commit to bringing access to financial services to 70 million Nigerians, serviced by 600,000 agents. By the 30th month deadline we have given ourselves, we commit to bringing access to financial services to 90 million customers, also serviced by 600,000 agents. We also commit to deepening financial literacy across the country through a financial inclusion secretariat within the Association of Licensed Telecommunications Operators of Nigeria (ALTON). "According to Mckinsey, as a direct result of increasing financial inclusion rates, Nigeria could realise as much as a 12.4 per cent boost in Gross Domestic Product (GDP), the creation of 3 million new jobs, $2 billion reduction in government leakages and $57 billion in new credit for small and medium scale enterprises over a four-year period," he said. ALTON further anticipated that the intervention will give customers access to a variety of affordable financial products and services, in addition to delivering 1,000,000 direct jobs and other benefits identified by the McKinsey report. Aside opening up the digital financial services sector, Adebayo said, this could be the basis for transformative change in the structure and sustainability of growth in the Nigerian economy, and acknowledging the concrete commitments the industry has made towards delivering access to financial services as well as their dedication to financial literacy which while vital, cannot happen in isolation of the telcos. He stressed that this integrated approach, if allowed to, will deliver long term solutions and tangible impact. There is no doubt that the telecommunications industry recognised that with an issue as critical as digital financial inclusion, it is important to focus on sustainable solutions, which requires inclusivity and collaboration of varied solutions providers in order to achieve real results. Worthy of note is that telcos have the capabilities, technology, infrastructure, distribution network and subscriber base that could quickly be leveraged to provide these solutions. The industry players have a combined presence in 773 local government areas across the country, which further emphasises ALTON ability to reach, especially hard-to-reach areas, including rural part of the country in a bid to deepen access to digital financial services. Accompanying this is the fact that ALTON has estimated 1,000,000 unique agents already in place selling airtime across the country, creating a strong distribution network that can quickly be converted to established mobile money agent networks. Therefore, its high time the Central Bank of Nigeria (CBN) rethinks its policies on mobile money and financial inclusion to ensure that Nigeria leverages the telecommunication layout of existing infrastructure to bring more number of the populace into the digital financial inclusion, particularly a dedicated investment efforts at mopping up the remains of urban dwellers as far as the inclusive agenda is concerned. Only then will the financial inclusion make a digital sense! Pix: CBN Gov. Godwin Emefiele, Mrs Rose Onoja (Mama Oshe) and ALTON chairman, Engr. Gbenga Adebayo.